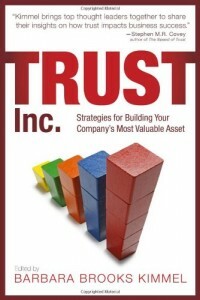 Trust has been a main discussion point for most of my career. Trust in business, trust in selling, trust in relationships. Increasingly, people are discussing how trust in business and in organizations (or the lack thereof) is starting to affect how we all do business and people are starting to wonder how it will affect the future of work life. I recently interviewed Jacob Morgan, author of “The Future of Work” (Wiley 2014), about his book in my Books We Trust blog series. 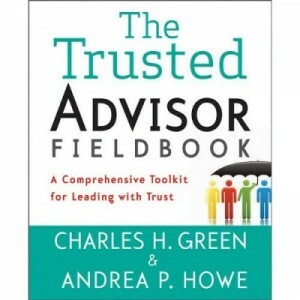 In turn, he recently interviewed me for his own podcast series,on issues of trust including why modern businesses have trust issues, how technology has simplified trust with the simple click of a button, the distinction between a lack of trustworthiness and a lack of willingness to trust. We also delve into solutions on to how to better build trust in the future’s work environment including building trust with your employees, increasing loyalty of your employees and thereby raising employee retention, utilizing collaboration platforms to increase trust and even how to gain a better understanding of millennials and job-hopping–and how it might not be a bad thing. Take a listen here. I think this just may be my best podcast yet.